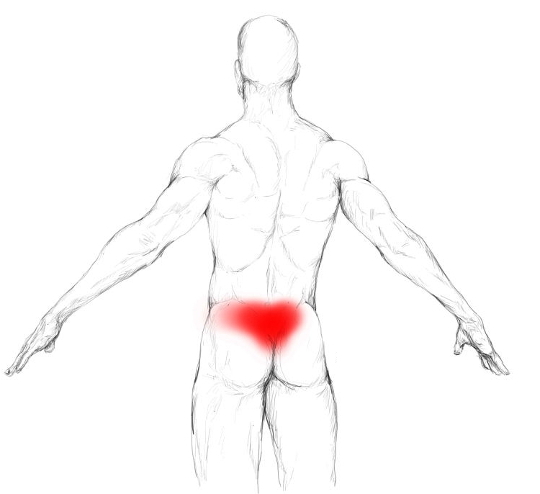 Lots of times the gluteus medius muscle is an overlooked source of trouble in people suffering from lower back pain. Very often this muscle is too tight or contains trigger points. 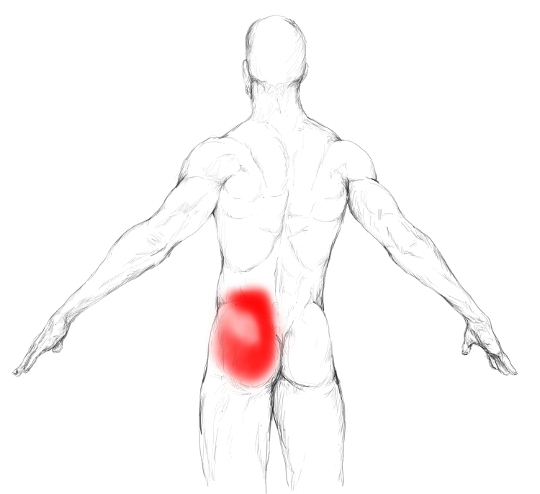 Thus, it disturbs the force distribution on your hip as well as on your lower back and irritates your nervous system. The result can be pain. It is so often involved in lower back pain that it is even called „The Lumbago Muscle“. So often, that relieving it from unnecessary tension or trigger points improves lower back pain drastically in a lot of cases. But there are also good news. With self massage it won’t be too hard for you to relieve this muscle. And if applied frequently, improvement comes fast. If you want to get started right away with your massage, click here and jump to the feel and massage part. Still, make sure to read the rest of this page at some point, where I basically explain you where this muscle attaches, where it creates pain and why it does so. At the beginning I mentioned that the gluteus medius muscle is also called „The Lumbago Muscle“. You won’t have any issues to believe that if you take a look at the pain zone pictures. 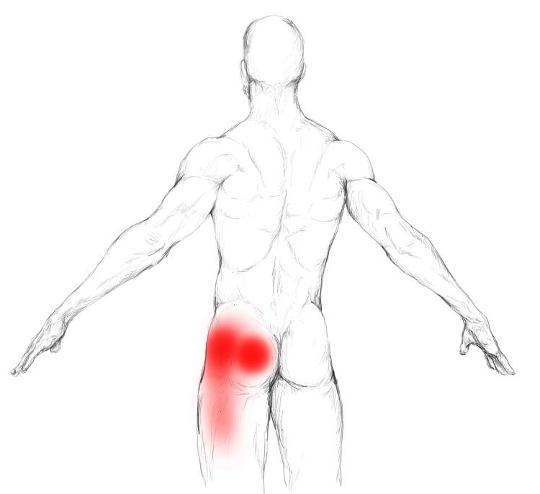 They display the areas that a troubling gluteus medius – too tight or afflicted with trigger points – can send pain to. The deeper the red, the more common it is to experience pain in the respective area if this muscle is too tight or contains trigger points. If your gluteus medius muscle is too tight or harbors trigger points, you might feel pain when walking around or sleeping on the side. While walking, the muscle has to work – stabilize your hip –, and if it is super tight or contains trigger points, this might be painful. When sleeping on the affected side, you compress the muscle and when sleeping on the non-affected side, the dorsal/back fibers of the muscle get stretched due to the slight inward rotation of your „upper“ hip. Both displays mechanic stress, which can be too much for a troubled gluteus medius. 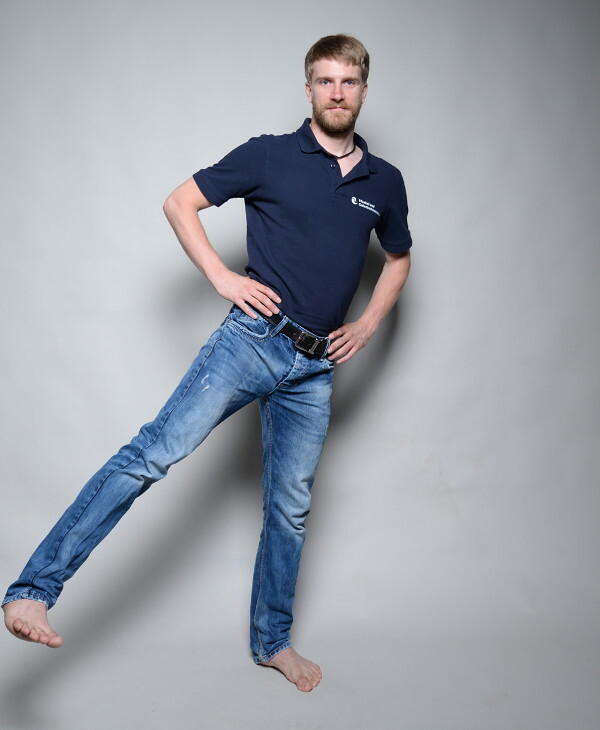 What you can do here for some relief, is to put a small pillow between your knees as this will prevent your thigh from rotating inwards too much. The gluteus medius muscle runs from your iliac crest to the trochantor major, which is a prominent landmark of your femur/thigh bone. The muscle can be divided in an anterior, medial and dorsal part – front, mid, back –. The Xs in the picture display areas where trigger points commonly develop in this muscle. Each of these points has its own pain zone. Its main function and the one that is most relevant for you, is the stabilization of your hip. 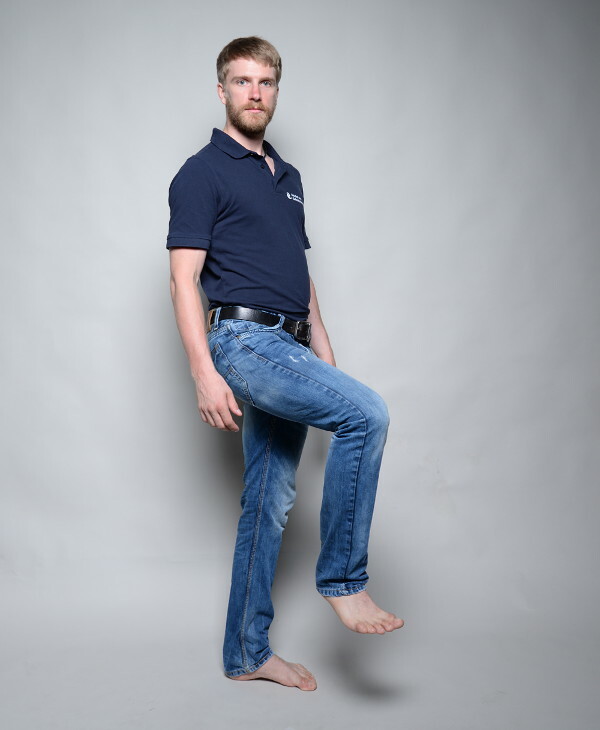 Whenever you are standing on one leg, and bear in mind that you do that with every step when walking, this muscle is active and prevents your hip from tilting. Thus, if you are an active person, your gluteus medius has to work quite a lot. Beside this stabilizing function, the gluteus medius also abducts your leg, which means it spreads it to the side. Now I want to talk to you about what can overload and eventually create problems in your gluteus medius muscle. Briefly, it is muscular misuse/abuse, which I explained in my article on muscle and joint pain causes. In case of the gluteus medius, that means too much sitting or unbalanced moving. Muscles are made to be moved. They hate it and its detrimental to their health to be hold in static positions. When you sit, your gluteus medius is held in both, a shortened and a stretched position – anterior part is shortened, dorsal part is stretched –. A consequence of this is increased muscle tension. This is why long sitting is no good. On top of this, many people, especially men, have their wallets in their hip pocket. This can, depending on the pocket size and the position of the wallet, place mechanic stress on the muscle. Eventually the result will be unnecessary muscle tension, trigger points and pain. In a nutshell: If you have to sit a lot, due to your job or whatever, give yourself a break every now and then, and walk around. Move and make self massage a part of your life. One more tip. Don’t sit with crossed legs if you have the feeling of being prone to develop problems in your gluteus medius. In this sitting position the muscle gets even more stretched – back part – and shortened – front part – than in normal sitting. Moving is healthy, yes, but if you are living a sedentary life, your muscles are used to „nothing“ and very „vulnerable“. In case of the gluteus medius this means, that all movements or activities that place lots of stress on the muscle, can overload it and create pain. Here are some examples. Bear in mind that the main function of the muscle is the stabilization of your hip. Does this mean that those activities are harmful per se? No, absolutely not! But it means you should massage yourself after practicing them, and this way preventing your gluteus medius from tightening up too much. In the long run, if you train and keep your muscles smooth via massage, they will get more resistant to all kinds of mechanic stress. About half of the muscle is covered by the big brother of this muscle, the gluteus maximus. Thus you cannot palpate the whole muscle. Still, there is one part that you can feel quite good. It is easiest while standing. Place your thumb in between the bony peak in the front of your hip (SIAS) and your upper and outer leg (Trochanter major). Now shift your weight on this leg a couple of times. Everytime you do so, you can feel the gluteus medius contracting under your thumb. The best way to massage it, is with a massage ball. That means, you will place a ball on the muscle, lean against a wall and then search for tender spots. As soon as you find one, concentrate your massage exclusively on that area and work it with 10 – 15 very slow and precise strokes. That means you will roll the ball over these spots. 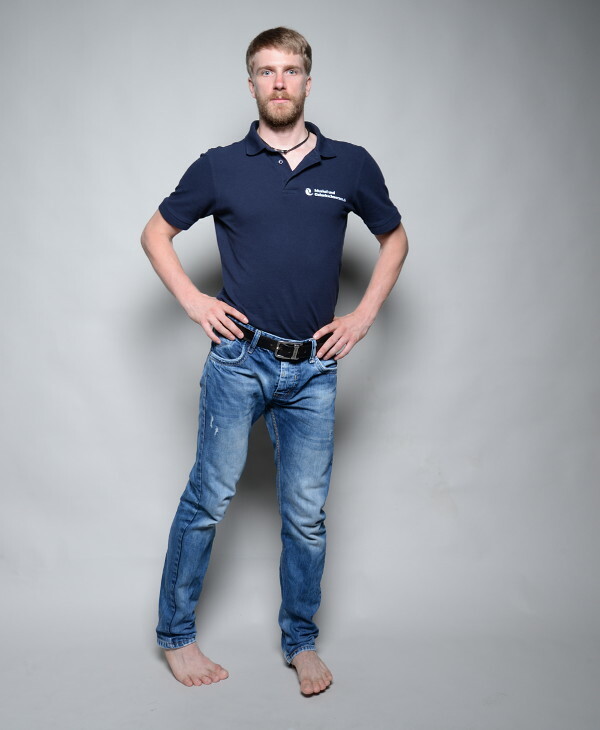 Here it is important to unload the muscle by putting almost all your weight on your other leg. Otherwise your gluteus medius will be contracted and you cannot massage it properly. You also have to relax the muscle. If your gluteus medius is very tender, this can be quite a challenge. Every time you want to press in the muscle it might get tight. Relax, breathe, take your time and persist. After a couple of tries you will be able to do so, and the more often you repeat the massage, the easier it will get. You will find that the tenderest areas are right underneath your iliac crest and side of your hip, respectively – also see the location of the trigger points in the muscle picture –. This is why you want to focus your massage on that area. Tenderness of a muscle is a sign, that it is overworked and needs to be relieved. You will do that with your self-massage. Alternatively you can massage the muscle with a ball while lying on the side and rolling over it. Just give both ways a try and see which one gives you the better results. Definitely you will be able to apply more pressure with the latter method. I personally find it inconvenient and prefer the massage with a ball against a wall. Still, you might feel different. One last tip! It is important to wear soft or no trousers. Otherwise you won’t be able to penetrate the gluteus medius muscle properly.